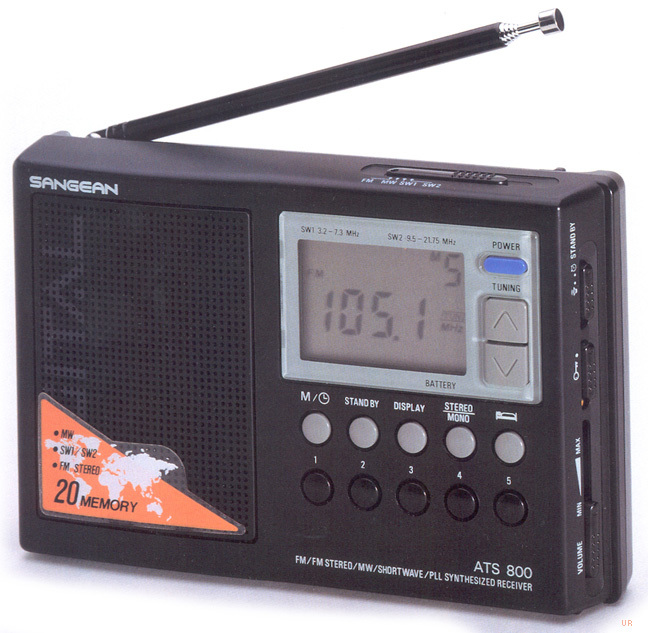 The Sangean ATS-800 is your portable entertainment center. This compact radio tunes AM from 530-1620 kHz, shortwave from 3200-7300 kHz and 9500-21750 kHz plus FM from 87.5-108 MHz. FM stereo is provided to the headphone jack. Enjoy 20 memories. Other features include: Mono/Stereo Switch, lock function and 60 minute sleep timer. There are indicators for: stereo/mono, battery and tuning. The ATS-800 requires four AA cells (not supplied). There is an external power jack for an external 6 VDC power adapter. 7.1 x 4.3 x 1.2 inches 1.3 lbs. 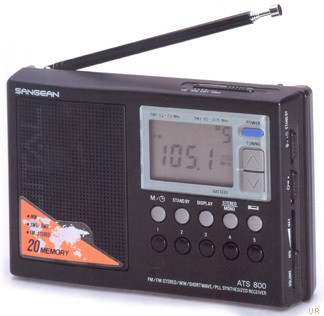 The Sangean ATS-800 was replaced by the ATS-800A.